I believe that someone with conviction, truth, and a tub of butter can set you straight in this confusing baking world. One can get lost amongst the leveling, sifting, and kneading. In fact, as someone that doesn’t consider herself a baker, the thought of baking a cake from scratch makes me nervous like a long-tailed cat in a room full of rocking chairs. 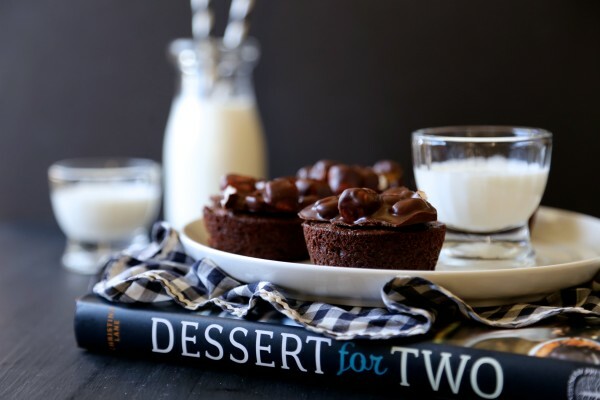 When I got my mitts on Christiana’s new cookbook, Dessert for Two, all my stress, sweat, and tears, slowly melted away like milk chocolate over a double boiler. 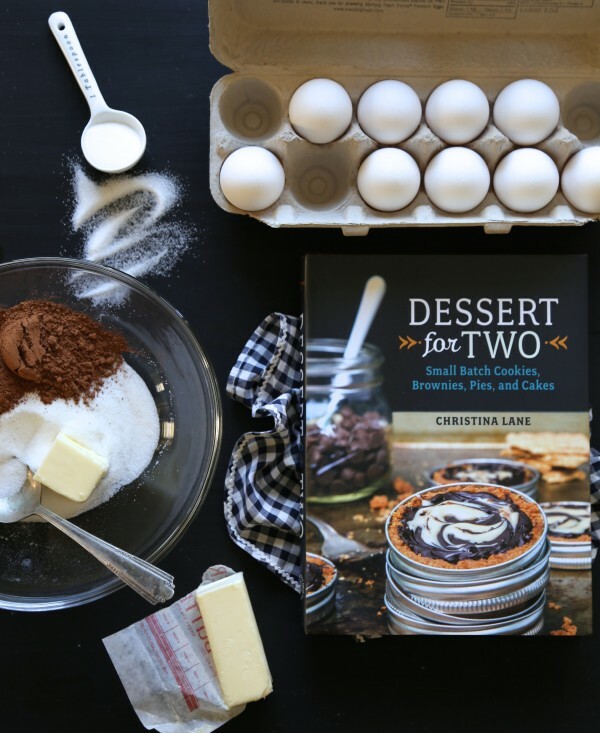 Christina, author of the popular blog Dessert for Two, has a natural and easy way of setting the stage for success in the kitchen. She invites you into her circle of love with stories found in her recipe instructions. This cookbook was just what I needed to finally bid auideu to my black yeast thumb. I have never felt so giddy, ecstatic, and crazy stupidly stoked about baking since this cookbook arrived. Scouts honor. 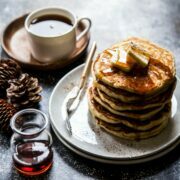 I adore the fact that these recipes are designed to serve just two, making them ideal for non-bakers with a sweet tooth. 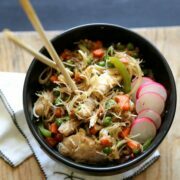 Not to mention, the recipes are written with easy to follow instructions. I will admit that I had the hardest time figuring out what to bake first. Do I go with the snowball cake, Mississippi mud bars, or blackberry cobbler? But! 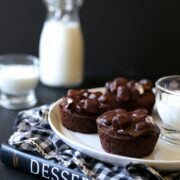 When I laid eyes on her brownie bites topped with rocky road recipe, my heart skipped a beat. I LUVVVVV rocky road anything. And y’all know I whip for team brownie any day – so the fact that she combined the two, brilliant. This whole recipe comes together lickity-split, which means you should get your own mitts on this epic cookbook right now! To help things along today, I am giving away a copy to one lucky reader. Yippppppeee! All you have do is leave a comment below telling me, what’s your favorite dessert to make? Giveaway details: One US resident winner will receive a copy of Dessert for Two. The winner will be chosen randomly and will have 48 hours to respond. This giveaway will run from Monday March 23rd to Friday March 28th at 9pm MST. Good luck! Congrats again Christina on a wonderful and delicious cookbook! MWAH! Preheat the oven to 350 degrees and grease four cups along the edge of a muffin pan with extra butter. In a medium-size, microwave-safe bowl, combine the butter, sugar, and cocoa powder. Microwave on HIGH for 30 seconds. Remove the bowl from the microwave, and stir the ingredients together. It's okay if the butter isn't all the way melted when it comes out of the microwave, but once you stir it together, it should melt entirely. Add the salt and vanilla and continue to stir for about 1 minute to cool down the mixture. Add the egg and stir very well. Sprinkle in the flour, and then give the batter about fifty brisk strokes, using a wooden spoon, aerating and scraping the sides of the bowl as you go. Divide the batter equally among the prepared muffin cups. Bake for about 15 minutes. Let cool for a few minutes before removing them from the pan to a cooling rack to cool completely. Note that the brownies may sink slightly in the middle if you under baked them to keep them gooey. Have ready a sheet pan lined with waxed paper or a silicone mat. Combine all the ingredients, expect the peanuts and marshmallows, in the top of a double boiler and melt over low heat (you can also pulse in a microwave-safe bowl at 50% power until melted). Once the chocolate is shiny, stir in the peanuts. Finally, stir in the marshmallows. Pour the mixture on the prepared sheet pan and let cool until it can be broken into pieces. You can put it in the refrigerator to speed things along. 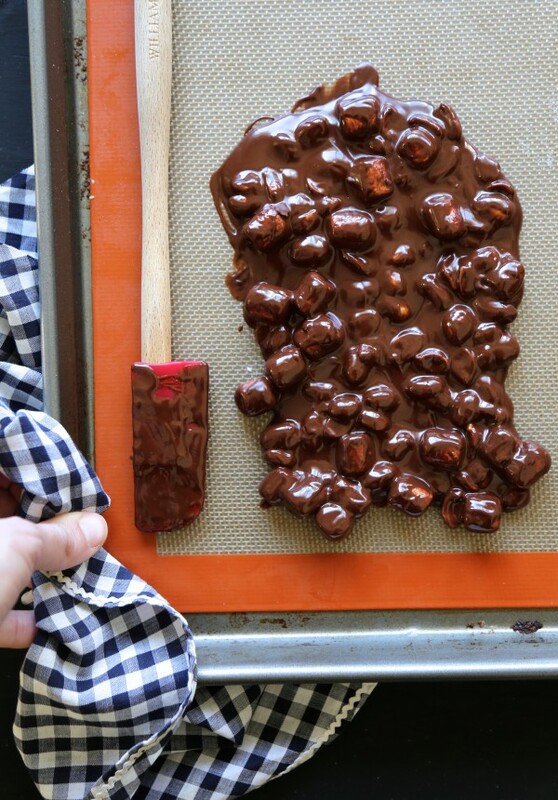 Once the rocky road bark has set, break it into large pieces, and press gently tint the tops of each brownie bite. This looks like a great little cookbook. Beautiful photos, by the way. My favorite dessert to make is the one I made yesterday – banana cake – in the microwave! It is my current favorite because I am always astounded that a cake baked in a microwave always turns out so crumbly and moist and delicious. My favorite dessert to make is brownies! These brownie bites look delish! I love to make blondies! So versatile and easy to bring with you to share with friends! 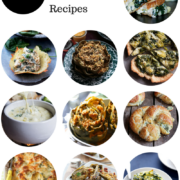 I had the HARDEST time picking out a recipe from this book – they all looked too yummy!!! And this one definitely one of my favorites! I guess I have another recipe to go make! I love her book! So much good stuff in it and this one is no exception. What a fun dessert and of course that cookbook looks amazing!! Looks so amazing!! 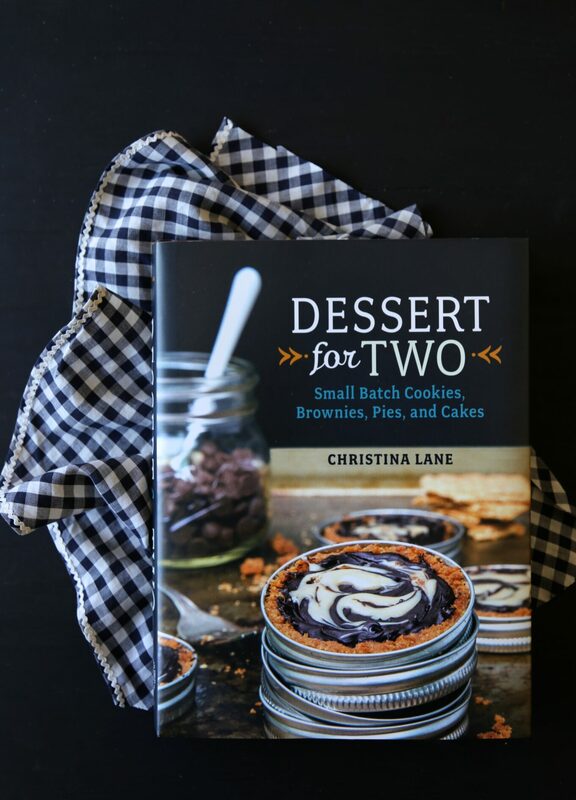 I’m a huge pie fan, but have never figured out how to get small pie recipes right…looking forward to reading Christina’s book! I love to make cookies! I can’t resist a delicious chocolate chip cookie! My favorite dessert to make is carrot cake – I do like eating it more than making it. Ahhhh this is everything I love in a dessert in the perfect two portion serving!!!! What?! These look amazing. I need these in my life STAT! I love to make any dessert that includes fresh berries – so, pies, cobblers, crisps, or homemade ice cream! Thank you for the chance to win! My favorite thing to make is a cherry rhubarb pie. I found the recipe in an old pie cookbook at an antique shop. Only 1 hour to prep and cook and 5 ingredients! 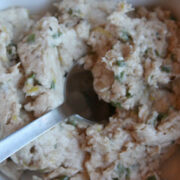 I capital L-O-V-E this book and the recipe that you picked! Make the Mississippi mud bars next. They are deadly in the best possible way! Such a cute dessert! These would be perfect for a weekend BBQ. Super easy to make and such great presentation. My favorite dessert to make are oatmeal chocolate chip cookies… Or anything with oatmeal, really! It just gets me!!!! I LOVE carrot cake and usually make an “easier” version of baked oatmeal so I don’t have to deal with a cake. So good. My favorite dessert to make is a lime chiffon pie. Yumm! And it’s perfect for spring/summer! I love cheesecake and most other kinds of cakes/cupcakes. My favorite is my chocolate chip cookies…hands down the best in the world & beyond. chocolate chip cookies. is that boring? oh well. I love making any kind of cheesecake…can’t get enough cheesecake!!! This looks amazing. Not surprised though, coming from Christina! I think brownies are still my favorite dessert to make. Can’t go wrong! I just made my first batch of rice pudding last week and I am hooked. It is my new favorite dessert. I love to bake Red velvet cheesecake!!! They are so delicious! I love making new york cheesecake! FAVORITE dessert to make are peppermint oreo truffles :))) with sprinkled candy canes on top!! My favorite dessert to make is chocolate mousse. Simple and delicious! I’m a sucker for cookie dough, if that counts as a dessert. If not, than I’d have to go with the Earl Grey Pots de Creme I made for Thanksgiving two years ago! 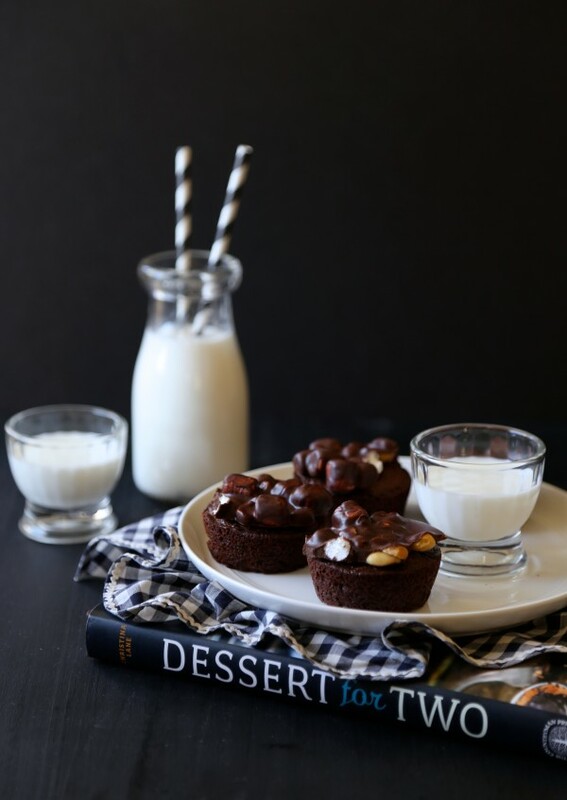 i love brownies – I have never met one I haven’t liked but with just my husband and me I have started freezing most of each batch – this cookbook looks perfect for us – thanks for the opportunity to win a copy! I love to make bundt cakes, they are usually easy and delicious, and you just have to only have to make a glaze or dust with powdered sugar for the topping. My favorite dessert to make is brownies! 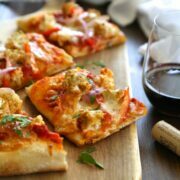 Easy and soooo yummy! I’m loving homemade muffins…they’re great for breakfast, with tea, and for a sweet bite after dinner. I’m a young aspiring chef and I love desserts! This book would be perfect for me to practice my craft at home. My favorite dessert to make is lava cakes. Chocolate, white chocolate, anything chocolate with a warm gooey center. Brownies. Who can resist them? Oh good choice!! My favorite dessert to make is actually brownies! I like the ease of prep and well, eating them later. I really need to get my hands on Christina’s book. These brownie bites look incredible! My favorite dessert to make is brownies! They’re my favorite 🙂 Thanks for the giveaway! I enjoy making (and more importantly EATING) cobblers. I usually make peach because my dad always provides me with fresh peaches, but my favorite is pear cobbler. I love making cookies because they’re hard to screw up 🙂 Dying for some strawberry pie lately, though! Chocolate chip cookies is my favorite reciproca, always! Yummy.